The market for big batteries that store electricity across the power grid or at buildings, as well as power electric vehicles, has long been just around the corner. But hurdles still remain, despite bullish predictions from analysts in recent years. What obstacles are still out there that are holding this market back? Billions of public and private funds have flowed into battery companies in recent years, thanks to the 2009 stimulus package, as well as interest from venture capitalists. But many battery startup developers have either delayed their manufacturing plans (LG Chem), shifted their marketing focus (Leyden Energy), filed for bankruptcy or gotten scooped up by larger and better-funded companies (A123 Systems and Ener1). The Electric Power Research Institute, which serves the North American utility industry, pegged 2011-2012 as a turning point for when public-funded energy storage technologies should largely move out of the research and development phase and into field trials. There are indeed trial projects here and there, but not many large rollouts at the utility scale so far. Investors might be warming up to battery technology again — or at least not giving up on it. This week Stem, a battery storage project developer, announced it has raised a round of $15 million from Iberdrola and GE Ventures. 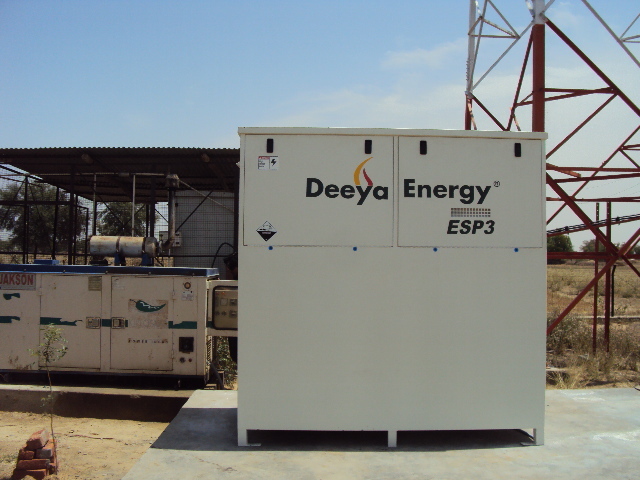 Deeya Energy, a flow battery developer, also announced this week that it’s rebranding and focusing on a new type of battery chemistry. Meanwhile it’s clear that battery startup Envia is in some serious trouble. 1). It’s about public policy and money: The previous wave of public and private investments tried to speed up the development of energy-dense, long-lasting and safe batteries, but there were no regulatory mandates for buying electric cars or storage projects to manage the electric grid. California’s launch of a program that requires its utilities to use energy storage is supposed to energize the storage market. Germany started an incentive program in May this year to pair storage with rooftop solar. Japan also started to promote energy storage projects, along with renewable energy, after being stung by the Fukushima nuclear disaster in 2011. Rebates and other incentives for owning electric cars and installing charging stations will continue to be necessary to nurture this new automotive market segment. 2). 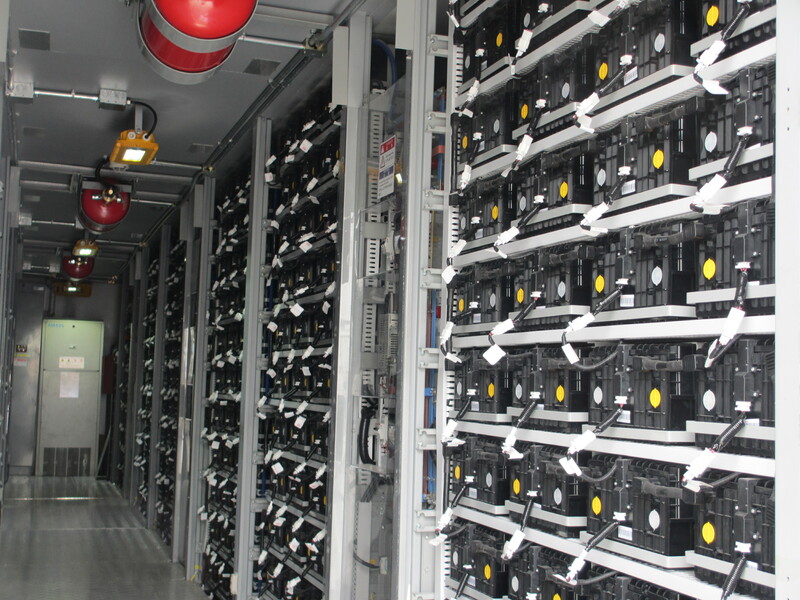 Narrowing down the technology choices: No doubt some energy storage developers will say that the emerging market promises to be vast and accommodate different types of technologies. But history has shown that massive hardware technology deployment and cost reduction require people to choose, based mostly on price and functions or a tradeoff between the two. For example, silicon has come to dominate solar cell and chip production. Lithium-ion batteries have had a head start given their common use in consumer electronics. But supersizing them for storing electricity and connecting them to solar panels and the grid require a whole set of sensors, power electronics and software. There also are experiments with using different materials for various components of lithium-ion batteries. Lead acid batteries are cheaper, and research efforts remain to improve the amount of energy that they can pack into a given size to make them competitive against lithium-ion batteries. Flow batteries are bulky, with their two tanks of liquid chemicals, but they are supposed to be easier to size up and down, and can be a cheap option for the power grid. Then there are all those non-battery energy storage technologies, like compressed air, fly wheels and even gravel and gravity, which won’t be coming to your neighborhood or under the hood. 3). Who wants to own the factories? The difficulties of commercializing hardware technologies, from solar panels to electric cars, have scattered venture capital investors and prompted many of them to focus on energy software startups (instead of hardware). 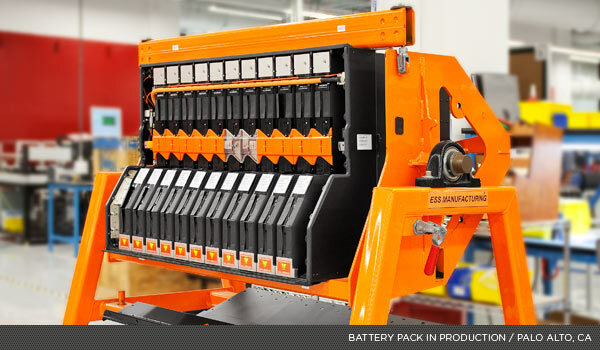 Battery startups’s manufacturing strategies usually involve their attempts to buy parts cheaply and assemble them into final products themselves. At least for the first year or two when their first product hits the market. They all know that building and running their own factories represent a huge risk that many of their investors would rather not undertake. But prices won’t drop as quickly without a buildup of large factories. There are a lot of lessons learned in recent years about the challenges of scaling up production and becoming reliable suppliers. Bigger companies don’t necessary have an easier time. LG Chem delayed its lithium-ion battery production plan in Michigan because the demand was lagging. Tesla Motor’s Elon Musk has complained about the supply shortage from Panasonic and is floating the idea of building a massive factory to gain a closer control of the battery supply. 4). Cheaper solar and wind is a big help: Energy storage will make a big difference when it comes to managing the sporadic injections of solar and wind power on the grid. Solar can be used to create a backup power supply, to bank excess production, and to help utilities maintain a balance of supply and demand that is so important to the health of the grid. But for a while, renewable energy was way too expensive to make energy storage, which remains pricey still, an economical option. As solar electricity becomes cheaper to produce, thanks to a massive oversupply of solar panels in recent years, adding storage will start to be seen as more feasible. The use of long-term leases or power purchase agreements in the solar industry is making its way into the energy storage market. Instead of owning and running the battery systems, businesses and homeowners can pay a monthly fee for storage services instead. 5). Making believers out of banks: Banks need to be convinced that there is good money to be made in the energy storage business, which is too young to offer clear evidence. That means storage project developers will find more friendly investors in smaller financial institutions and other types of money managers who are willing to take the big risk. But they aren’t going to be able to offer the large funds that are necessary to grow the energy storage market. Large financial institutions are looking for fast revenue growth and field data from project developers that provide some proof that energy storage technology can perform as well as promised over time and that there’s a growing interest from customers. 6). Energy independence: Maintaining a backup power supply is common for large industrial operations, hospitals, data centers and other businesses that don’t want to lose millions of dollars in sales because of power outages. As prices for solar and battery systems decline, we will see more of these businesses embracing the two instead of relying on diesel power, which can be more expensive and doesn’t help with the growing corporate efforts to reduce their carbon footprint. Many energy storage project developers already are devoting more of their sales and marketing efforts at businesses rather than at homeowners or utilities. Utilities, in particular, can take a while to get the regulatory approval and money to pay for energy storage. The residential market is large, too, but you need a lot more marketing and sales money and people to convert homeowners into a customers. The small size of a residential battery system also means you will have to sell a whole lot of them to gain the scale that will make you attractive to banks. Do you know anything about what may be happening with Silicon battery technology? One word for all your readers of this excellent article…. VANADIUM. Nuff said. Where is the market for fuel cells? Fuel cells are not as a storage technology but for electricity generation. Ucilia, thanks for sharing. After reading number 2 (narrowing the technology choices of batteries), it seems like the feasible options for big batteries (Lithium-Ion and Lead Acid) both have significant drawbacks. Any other new big battery technologies we should look out for in the next couple years? The last paragraph is a nice conclusion. Let’s hope the shift toward enterprise opportunities and and not just independent homes creates profitable use cases for these big banks to get in the energy storage and renewable game. I should remind you things related to energy (nuclear energy, battery, fusion, etc) often takes decades, lithium battery research started in 1972, only commercialized in 1992, and after 20 years, there is little progress in basic research, most improvement comes from battery design, making things thinner, at the price of safety (things get thinner, more active material, more fires). There probably won’t be any breakthrough in battery until 30 years after your grand-kids were buried due to old age. It may never come, so the focus should shift toward other things! Yeah, but the popularity laptop computers made batteries more valuable not so long ago, and the electric car will make batteries even more valuable. lead carbon (PbC) batteries are a relatively new technology. They allow fast charging and discharging, don’t degrade from deep discharges, and have a high cycle life. As far as I know, Axion Power is the only company that makes them at present. You are correct Jim and those PbC batteries are getting very high marks in the fields they are being tested in. Great stuff. What is fascinating about storage is that it allows you to separate the commodity (electricity) from the transmission network (the grid).